Pushing the technology initiated with 3D printing to its limits a new 5D printing system has been unveiled by the Mitsubishi Electric Research Laboratories (MERL) best in North America providing a first look at what you can expect from systems capable of 5D printing. 5D printing works in a similar way to that of 3D printing that provides prints that are 3 to 5 times stronger and use 25 percent less material. Check out the video below to learn more about 5D printing. William Yerazunis, Senior Principal Research Scientist at MERL explains more about the 5D printing process. It’s the same shape, made from the same CAD model, made out of the same plastic from the same spool, made on the same machine. – But the 5D printed part is up to five times stronger. That’s like the difference between a bicycle and a racing motorcycle. 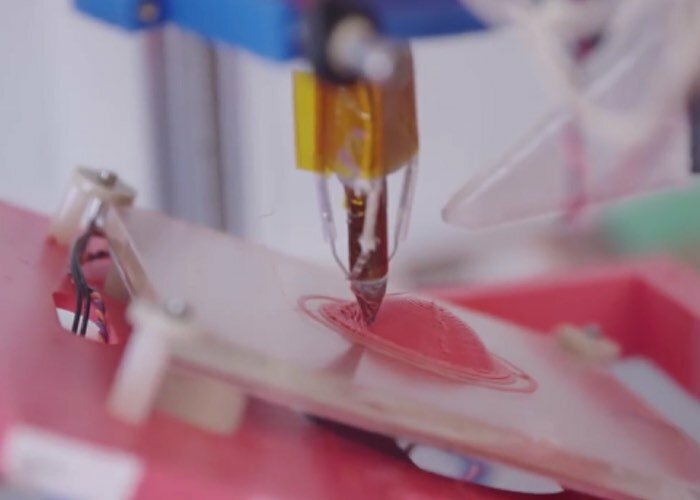 Our goal in this 5D printing project is to make parts that are strong in the directions they need to be strong in, no matter what direction that happens to be….5D printing does require a lot of analysis, and it does require knowing how the part will be used,” says Yerazunis. “But when you can make a part that’s five times stronger, that really changes how you think about 3D printed parts.